I am sure you have heard about NYX lip creams, you must have. NYX lip cream is tagged as NYX’s most fan favorite product. And this time, NYX has launched another range of lip creams called Liquid Suede Cream Lipstick. I have been a fan of NYX lip creams and so I thought I would give these a try too. NYX has opened their own pretty booth in Mumbai on October and I got this on my first visit there. Reason of choosing this shade- It says Kitten and screams Red. Shade:-A super gorgeous red, something very classic. The texture is very soft, very creamy and glides on lips like a dream. But compared to other lip creams I have used, this one takes a little more time to get dry. 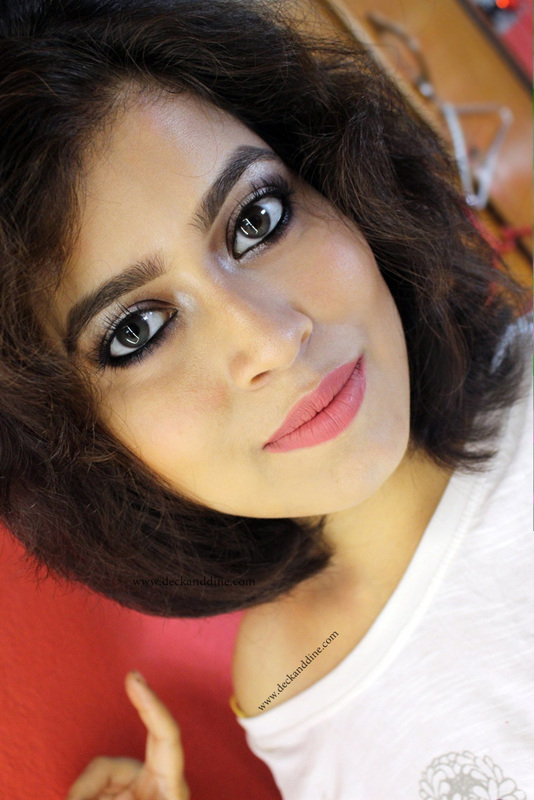 It takes around 4-5 minutes to settle into the gorgeous and comfortable matte finish. The matte formula is non-drying; it neither settles into fine lines nor does it accentuate dry patches. 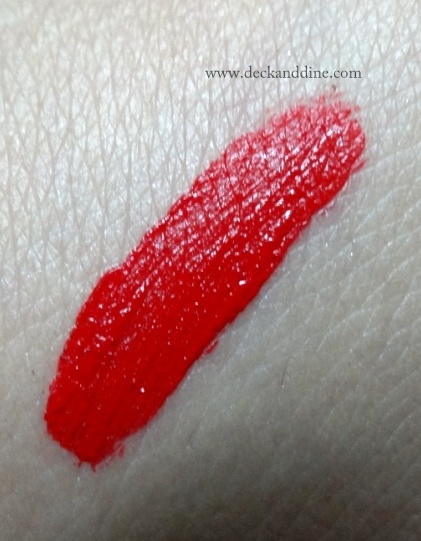 Insanely pigmented; it goes gorgeously opaque in single swipe. It for around 6-7 hours on me with snacks and drinks in between, but it doesn’t survive full meal. You have to watch out for that and remember that you have to reapply thereafter. Avacado oil, olive oil and glycerine keeps your lips hydrated for long. A little is needed to get the desired shade, so the product would last long. 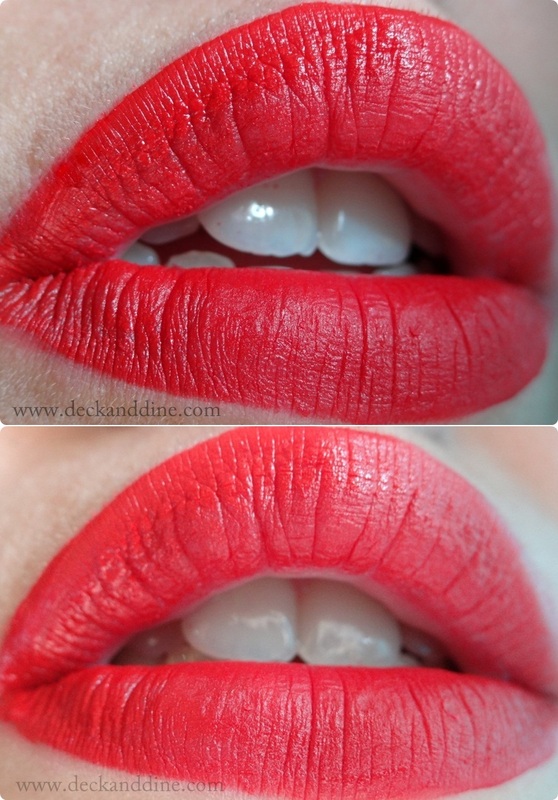 A beautiful red liquid lipstick with a beautiful matte finish. Glides on smoothly, lightweight and sets with a soft, velvety look, absolutely love it. Looks so classy. It doesn’t dry out your lips like most of the matte liquid lipsticks. I am in love with the color and texture so much that I don’t mind reapplying it when it fades after eating. I want to try their other shades as well. So have you tried any of NYX Liquid Suede Cream Lipsticks? These trails photograph so well na..!! Love them..
Madhu as usual every lippy on you looks gorgeous itself. Awesome color it surely does make lips get more attention. Thank you for the words sweetheart.. this one is such a headturner..